Tyler Wills, a third-year student at the Middletown campus and member of our regional dining services, has been selected as the recipient for the W. Lynn Darbyshire Award. The W. Lynn Darbyshire Award is a prestigious award, presented annually to a student of 3rd year status (Junior) who has demonstrated outstanding leadership in a student organization, student advisory council, student employment, community service, or campus committee assignment. Wills is from Middletown, Ohio and currently serves as a student manager at the Middletown campus in dining services. As a student manager, Wills is responsible for opening and closing operation, counting down registers, keeping employee records, work scheduling, order entry, task assignment and general management. Being named the W. Lynn Darbyshire Award recipient was an unexpected honor for Wills. Wills is majoring in integrative studies with concentrations in organizational leadership, social media marketing and computing communications. After college, Wills plans to move somewhere warm (likely southern Florida or southern California) to work in sales, marketing and/or public relations. He plans to get his real estate license and aspires to travel as much as he can. 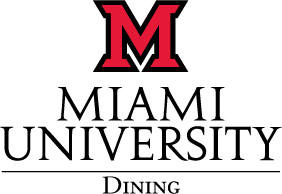 The award was established in 1995 in honor of W. Lynn Darbyshire, Miami University’s first Director of Student Affairs & Athletics (1967-95) and first men’s basketball coach (1967-76), and in recognition of Darbyshire’s emphasis on character and leadership among Middletown Campus students. The W. Lynn Darbyshire Award is one of various honors to be awarded at the Miami Regionals Award Ceremony on Friday, April 28 at 5:30pm. All faculty, staff and students are welcome to attend.